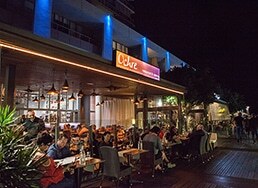 Ochre Restaurant is the most highly awarded restaurant and catering company in Cairns.Ochre Catering delivers quality functions throughout North Queensland for conferences, corporate events, weddings and special occasions around Cairns, Port Douglas and Palm Cove. 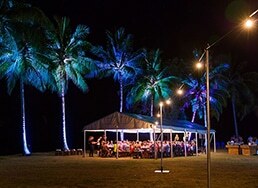 Ochre Catering has a clear focus on providing the best concept catering in North Queensland, with some amazing themed events and functions under our belt, we are looking forward to assisting event planners in creating a unique event that will provide delegates and participants with a truly memorable experience. Ochre Restaurant and Catering has extensive experience in providing quality wedding catering and wedding planning services, our attention to detail is faultless, service friendly and professional, and assistance in planning your special day practical and efficient. 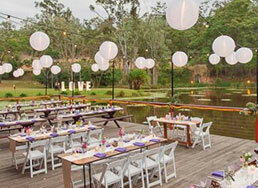 We cater to an average of 40 weddings per year. Since opening Ochre in 1994, owner, director and chef Craig Squire has been dedicated to creating the ultimate Modern Australia food experience – from opening his first restaurant at just 21 years of age, with a loan from his uncle, to an international restaurant consultant in demand across the globe. Craig loves the new location and looks forward to welcoming you. General Manager Carley leads by example, dedicated and hard working she is constantly striving for the best in service and guest experience.Contact her for your wedding and restaurant enquiries. Passionate and creative, Luis loves his food nearly as much as his daughter. 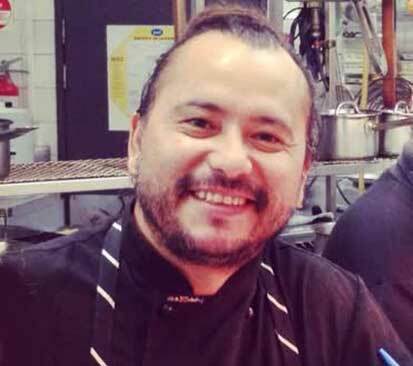 A great leader for our tight kitchen team Luis started in 2005 as a young cook after completing his apprenticeship. A few years off for travel he came back with a commitment to leading and training. Proud of his Chilean heritage but very much an Aussie, Pity his footy team (Carlton) are so hopeless.